You can take public transit into Tokyo from Haneda airport for around 800JPY with a few transfers. But in my experience, transiting through Tokyo with luggage is an unnecessary world of anxiety. 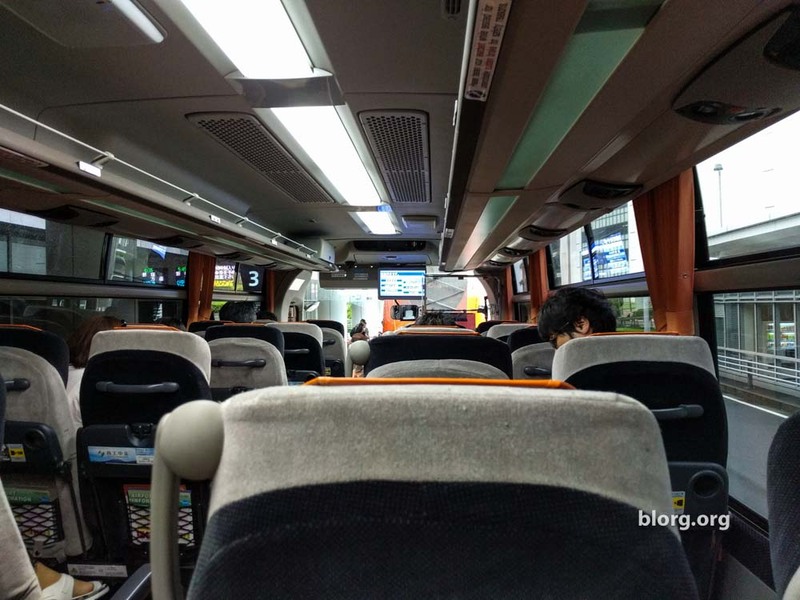 For 1230JPY, you can get on the Tokyo Haneda Airport Limousine Bus and go directly to most destinations within Tokyo. You get your own seat and your luggage is loaded/unloaded onto the bus for you. That’s about $4USD more to save on a headache and the anxiety of getting on a full subway car with luggage during Tokyo rush hour. When I exited the departures terminal in Haneda airport departures terminal, there was an information booth. I asked them what was the fastest way to Shinjuku station. They said “Airport limousine bus departing in 8 minutes.” They then directed me to a nearby counter where I could buy tickets. I quickly ran to an ATM to get some Japanese Yen, went to the ticketing counter and walked outside to the bus pickup area. The bus is clean and they announce the stops in English and Japanese. My destination was Shinjuku Station West Exit and we got there pretty quickly.